According to Dr. David Servan-Schreiber - author of "Anticancer, A New Way of Life" - the average person could have thousands of cancer cells circulating in his or her body. These abnormal cells only cause problems when they proliferate and form masses of cells (a tumor). Impaired natural defenses will allow cancer cells to survive and proliferate. About one-third of the population will eventually develop full-fledged cancer. About 85% of all cancers are caused by environmental and lifestyle factors. Even though we cannot control some parts of our environment, we can control our diet and diet is a key factor in developing as well as resolving cancer. Red Meat: Eliminating or eating no more than 12 ounces of red meat weekly can reduce their overall risk for cancer by 30%. Red meat stimulates the release of inflammatory chemicals that inhibit apoptosis (the genetically programmed cell death that prevents uncontrolled growth). Ensure adequate levels of vitamin D (the "sunshine vitamin), eat lots of anti-cancer superfoods and avoid cancer-causing chemicals at home and in personal care products and you can achieve a 90 percent reductions in the risk of many types of cancer, including breast cancer and prostate cancer. Avoid toxins / pollutants that cause cancer. Click here for info. Lung cancer is commonly associated with a problem called hypertrophic osteoarthropathy, which as cancer progresses can involve pain in many joints and is marked by clubbing of the fingers, with fingertips growing round and bulbous. An early symptom of acute lymphoblastic leukemia in children is joint pain -- particularly in a knee, along with anemia. Arthritis can also be observed in acute myeloid leukemia in adults. Muscle weakness along with a specific type of rash around the eyes is a sign of a condition called dermatomyositis, which can be associated with a variety of cancers including lung, ovarian, stomach, colorectal and non-Hodgkin's lymphoma. She points out that people who have joint or other pain or rashes of unknown origin should see their doctor. Chances are the problem will be something else entirely or you'll get a clean bill of health and whatever it is will resolve naturally. In any case, it is best to be safe. A cyst on the thin tissue connecting the upper gum to the upper lip (known as frenula). A growth or lump on the frenula signals a colon problem. White half moons on the fingers under the nails (known as lunulae). Typically only thumbs have lunulae. If you’ve had them before and then they disappear, this signals a cancer risk. People who have this sign may also feel cold. Infants tend to have fine hair on their cheeks which fades as they grow older. However, if adults suddenly grow soft, light-colored hair on their cheeks, this may signal colorectal or lung cancer. Chronic colitis increases your chance for colon cancer. Bleeding: Dark lines on the nails are early signs of bleeding. When blood shows up in the stool, this indicates that the cancer has progressed to stage 3 already. Open sores in the mouth that won't go away within a week or two can also be a sign of oral cancer. A doctor or dentist visit is recommended. Deep crack on the tongue and a red tongue. Abdominal pain. If the severity of the pain suddenly changes (e.g., from mild to severe pain), check for abnormalities in the stomach. If you feel a hard lump about 2 inches to left of the navel or above, this may indicate stomach cancer. When pressed, this hard spot is painful and is usually about quarter-sized. A lump, thickening or wrinkle on the auricle or outer ear may be a sign of stomach or liver cancer. Patients report that it feels like food is stuck in the throat or it goes down very slowly. The reason may be that a growth in the esophagus may be causing the blockage in this case. Chronic acid reflux may increase the risk as it can eventually harm the lining of the esophagus. A dark brown or yellow coating on the tongue as well as teeth marks (all indicating a digestive problem) may indicate esophageal cancer risk. Juicing healthy fruits and vegetables allows for concentrated nutrition. This method enables you to benefit from the nutrition provided by more veggies and fruits than you could ever physically eat. This will supercharge your body's immune system. 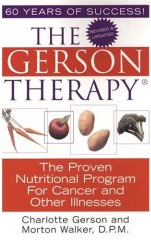 This treatment program is recommended by the Gerson Institute - a non-profit organization located in San Diego, California. Eliminate known carcinogens from your environment; these include herbicides, insecticides, second-hand smoke, radiation exposure. Avoid toxic overload and keep your home and body as toxin-free as possible. Use only natural, non-toxic cleaning, bath and beauty products. According to the U.S. Council Of Environmental Quality, "Cancer risk among people drinking chlorinated water is 93% higher than among those whose water does not contain chlorine." Shower filters and waterfiltration systems are relatively inexpensive and easy to install. You will find it well worth the effort. Diesel exhaust fumes are linked to the growth of cancerous tumors, as researchers at Ohio State University have discovered. The results of their studies were published online and in the print edition of the journal Toxicology Letters. The research team discovered that three types of blood vessel development had taken place areas after exposure to the diesel exhaust: angiogenesis, the development of new capillaries; arteriogenesis, the maturation or re-started growth of existing vessels; and vasculogenesis, the formation of new blood vessels. 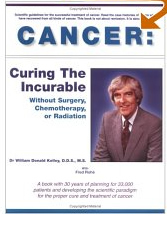 All of these processes are associated with the growth of cancerous tumors. The exhaust exposure levels in the study were designed to mimic the diesel fume exposure that humans regularly receive if they reside in cities and/or commute in heavy traffic. Qinghua Sun (senior author of the study) stated that exposure to diesel exhaust for just a short time period of two months could give even normal tissue the potential to develop a tumor. Please refer to: Breast Cancer's Environmental Legacy How Every Day Toxins Threaten Women's Health By Dr. Garrett Wdowin - also see below. Did you know? Soy may actually raise a woman's cancer risk, warns cancer survivor and nutritionist Diana Dyer, RD. Plus, soy-rich foods can even block the effects of the cancer drug tamoxifen! Exercise: The Moffitt Cancer Center recommends at least 30 minutes of vigorous or 60 minutes of moderate exercise every day. "Vigorous" is defined as running or working out in the gym. Moderate would be briskly walking or working in the garden. Avoid Processed Meats: The World Cancer Research Fund recommends people avoid eating all processed meats and the American Institute of Cancer Research stated that it “could find no amount of processed meat that is safe to eat.” It strongly recommended against eating processed meats, such as hot dogs, sausages, bacon, ham, pastrami, salami and any meat that has been salted, smoked or cured. The chemicals used to preserve the meat increase the production of cancer-causing compounds, regardless of how the meat is cooked. Studies show that just one sausage a day can significantly raise your risk of bowel cancer, one of the deadliest forms of the disease, according to an analysis by the World Cancer Research Fund. Eating 1.8 ounces of processed meat daily - about one sausage or three pieces of bacon - raises the likelihood of the cancer by a fifth. Processed meats may also trigger cancer in the prostate, lung, stomach and esophagus. The analysis also found that red meat raises the risk of bowel cancer, but to a lesser extent. Processing raises levels of cancer-causing chemicals called N-nitroso compounds, making bacon, sausages and other processed meats more deadly.According to estimates, if everyone cut down on red and processed meat, one in 10 cases of bowel cancer could be prevented. (Ref. : Daily Mail March 31, 2008 World Cancer Research Fund: Food Nutrition, Physical Activity, and the Prevention of Cancer: a Global Perspective November 2007). Are Your Feeding Your Family "Cancer"
Pass the Mustard, or Just Pass on the Hot Dog? Barbecuing / Cooking Meat at High Temperatures: Any time you cook meat at high temperatures, chemicals that are linked to cancer are created. After analyzing the results of 7,000 studies, the American Institute of Cancer Research concluded that grilling any meat -- whether red, white or fish -- produces potent carcinogens. The high heat reacts with proteins in red meat, poultry and fish, creating heterocyclic amines, which are linked to cancer. In one study, researchers found that those who ate their beef medium-well or well-done had more than three times the risk of stomach cancer as those who ate their beef rare or medium-rare. Scientists have estimated that the average cancer risk because of heterocyclic amine exposure ranges from 1 per 10,000 for the average person to more than 1 per 50 for those ingesting large amounts of well-done meats, especially flame-grilled chicken. Organochlorines are synthetic chemicals containing chlorine and carbon. Many of them are xenoestrogens or estrogens mimics. They include many chemicals present in pesticides, plastics, PCBs, pulp and paper manufacturing, sewage treatment and solvents. These chemicals can enhance human breast cancer cell proliferation, and promote transformation and invasiveness of human breast cancer cells. Fat cells manufacture estrogen, notably after menopause. That's why obesity is thought to be responsible for 20 to 30 percent of all post-menopausal breast cancers. Just 30 minutes of aerobic activity three to four times a week can lower your risk of breast cancer by 30 to 50 percent. Antibiotics & Hormones: Animals destined for food production are exposed to antibiotics, grown hormones and steroids that will end up in the meat that we eat. The long-term effects on us are largely unknown but the inherent danger is undisputed. Preservatives: Also, manufacturers add color-fixer chemicals, such as Sodium Nitrate, to preserve meats and also to keep the red color of the meat -- without this, the meat would turn grey, which would obviously keep consumers from buying it. The USDA tried to ban the chemical Sodium Nitrate in the 1970s, but was unsuccessful due to lobbyists. Researchers actually use Sodium Nitrate to induce cancer in lab animals so that they can research cancer. So, together with the meat, we are actually eating substances known to cause "cancer." Corn Syrup: Processed meats commonly contain high-fructose corn syrup (linked to liver disease, obesity and other health problems). Pesticides: Animals (chicken, pork, cows, etc.) raised for the meat market using traditional methods are generally provided a feed that is grown with the help of pesticides. ***Summary & Recommendations: Whatever toxins the food animals eat may end up in you. Therefore, the options are to either change over to a vegetarian diet, or, alternatively, to buy organic meats from animals that have been raised without the use of growth factors, antibiotics and steroids - commonly referred to as "free-range." These animals should be fed on natural, pesticide-free grass without the use of chemicals. This recommendation also applies to eggs. For the sake of your family's health and for humanitarian reasons that dictate that all animals are entitled to humane treatment, it's best to buy organic / free-range. Passive smoke increases risk of breast cancer as much as 60 percent. Long-term use may contribute to breast cancer. Don't deplete your melatonin levels! Melatonin arrests and deters breast cancer in many ways. Staying up past 10 pm, alcohol and electromagnetic fields from all electric appliances cause melatonin levels to drop. Broccoli Sprout Extract: A new study, the results of which were published in a recent issue of the medical journal Cancer Research, revealed that a concentrated extract from broccoli sprouts may reduce the development of bladder cancer by over 50 percent. This study adds to an already staggering amount of research that there is a significant protective effect among cruciferous vegetables (i.e., kale, cabbage, collard greens, brussels sprouts, cauliflower and others) when it comes to bladder cancer. The high levels of glucosinates in cruciferous vegetables give them their many health-boosting properties. Once these chemicals are metabolized by the body, they become effective anti-carcinogens called isothicyanates. You can find these powerful sprouts in specialty grocery stores like Trader Joe's or Whole Foods. Cruciferous Vegetables: Men who consume a lot of cruciferous vegetables -- specifically, broccoli and cabbage -- may reduce their risk of bladder cancer. The higher the intake of cruciferous vegetables, the lower the bladder cancer risk. Of all the vegetables, only broccoli and cabbage intake seemed to have an impact on bladder cancer risk. Because the rate of bladder cancer in men is three to four times higher than in women, the researchers note that the findings may not apply to women. Journal of the National Cancer Institute April 7, 1999;91:605-613. 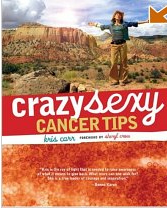 According to CDC (Center for Disease Control) most adult women already have the cancer-linked HPV virus. By age 50, at least 4 out of 5 women will have caught it without even knowing it. The highly publicized vaccine is of little value to those women who already have the virus. In 2005, a study conducted at the Harvard School of Dental Health found that fluoride in tap water directly contributes to causing bone cancer in young boys. "New American research suggests that boys exposed to fluoride between the ages of five and 10 will suffer an increased rate of osteosarcoma - bone cancer - between the ages of 10 and 19," according to a London Observer article about the study. The American Cancer Society states that "there is no scientific evidence that hydrogen peroxide is a safe, effective or useful cancer treatment", and advises cancer patients to "remain in the care of qualified doctors who use proven methods of treatment and approved clinical trials of promising new treatments."